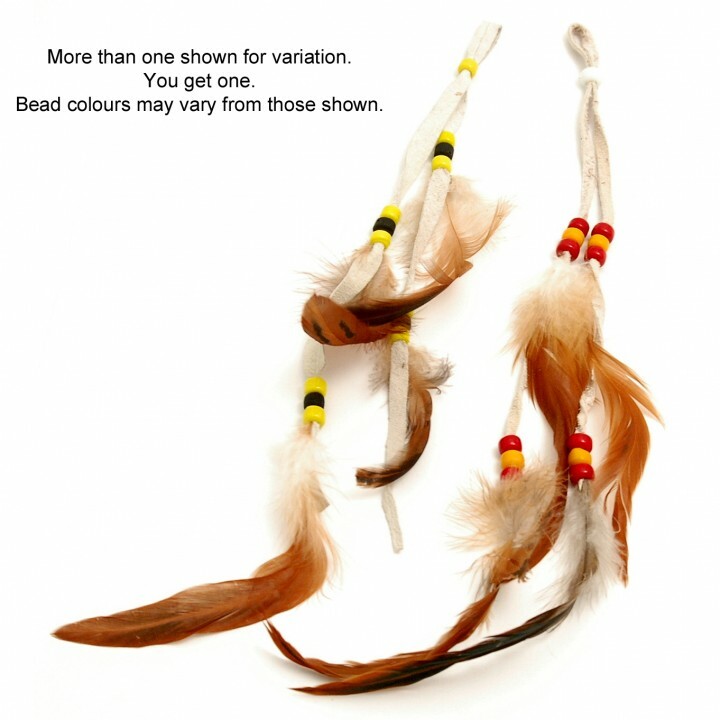 These great items can be used to decorate anything, bringing in the energy of feathers and spirit. The top bead slides allowing it to come tight around whatever you tie it around. 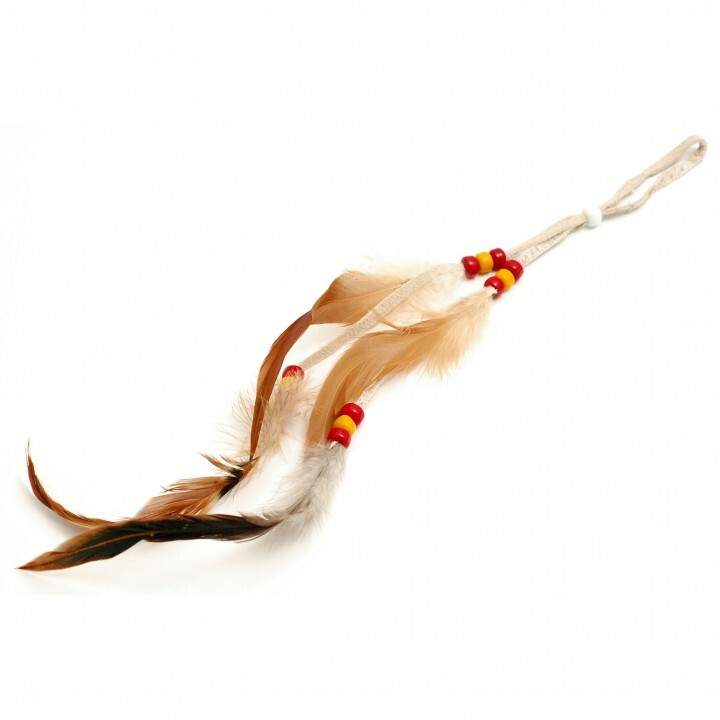 Ideas are as a hair adornment, tie to a ceremonial pipe, hang in your car, on a wall, on an aritefact you have made etc. Each one is hand made by Sheryl Kee from the Navajo tribe in the USA.